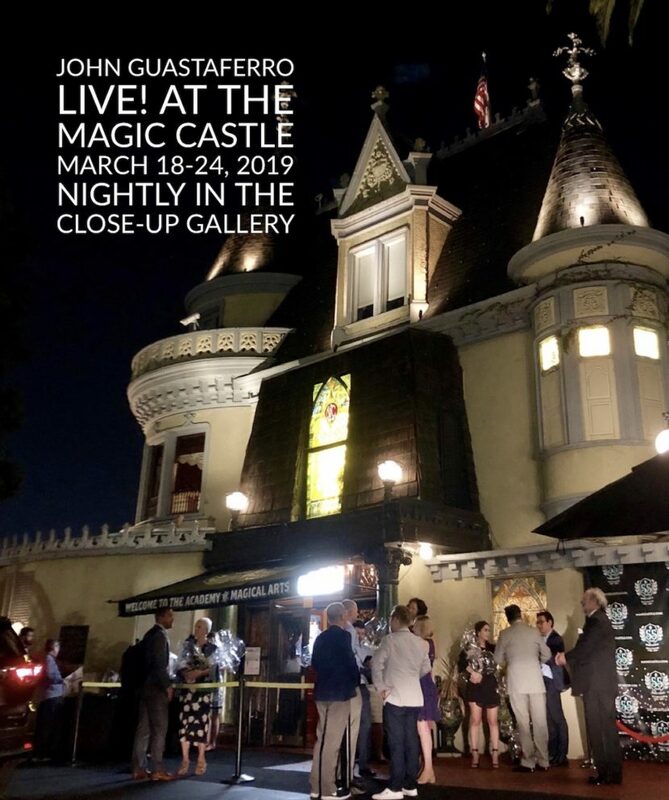 I’m excited to be back at the world-famous Magic Castle March 18-24, 2019. I’ll be performing nightly from 7-10pm in the Close-up Gallery. This is my favorite room since the magic happens right under your nose. I’ll be integrating some original acoustic music to create a mini theatre experience. I look forward to delivering a wondrous and memorable show.